RBI Recruitment 2017: Apply for 623 Nos. Assistant Vacancies- Last Date 10-11-2017. - Jobs4NE : Jobs in Assam and North East India. RBI Recruitment 2017: Apply for 623 Nos. Assistant Vacancies- Last Date 10-11-2017. 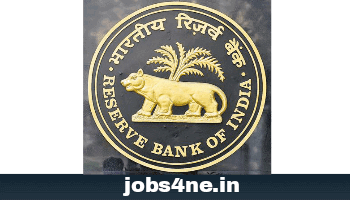 Reserve Bank of India (RBI) invites applications from eligible Indian candidates for the recruitment of 623 nos. Assistant posts on contract basis. Starting Date of Online Application: 18-10-2017. Last Date of Online Application: 10-11-2017. Name of the post: Assistant. Total no. of posts: 623 Nos. 11. Kanpur & Lucknow: 44 Nos. 15. New Delhi: 47 Nos. 17. Thiruvananthapuram & Kochi: 13 Nos. Educational Qualification: Bachelor’s Degree in any discipline with a minimum of 50% marks (pass class for SC/ ST/ PWD candidates) in the aggregate and the knowledge of word processing on PC. Age Limit: Minimum 20 years & maximum 28 years of age as on 01-10-2017. Upper age relaxation for SC/ ST Candidates is 05 years, for OBC Candidates is 03 years & for PWD Candidates is 10 years. Scale of pay: Rs. 13150- 34990/- and other allowances , viz Dearness Allowance, House Rent Allowance, City Compensatory Allowance, Transport Allowance etc. Application Fee: Candidates are required to pay Rs. 450 /- for OBC/ General candidates (Examination fee+ Intimation Charges), Rs. 50/- for SC/ ST/ PWD/ EXS (Intimation Charges) through online mode by using Debit Cards (RuPay/ Visa/ MasterCard/ Maestro), Credit Cards, Internet Banking, IMPS, Cash Cards/ Mobile Wallets. How to Apply: Interested and eligible candidates can apply online through the website: http://www.rbi.org.in on or before last date.